Since launching Methadone.US earlier in the year, I have received daily questions & requests from site visitors in regard to methadone services and methadone treatment referrals. Some inquiries pertain to the benefits of Suboxone (buprenorphine) although the majority pertain to methadone medication specifically. Listed below are some of the most popular and frequently asked questions by those suffering with an opioid dependency. The answer to each of these questions is already provided here on the site, but I will post the short answer again. Q1. I live in ‘Anytown USA’ and would like to find a methadone clinic near me. Can you help? A1. Each city page on Methadone.US lists both methadone clinics & suboxone (buprenorphine) approved physicians for most populated U.S. locations. Just scroll toward the bottom of your city page to view contact information for clinics in your vicinity. If your city is not listed, write me (admin) and I will perform an individualized search for you. Q2. How much does methadone treatment cost? A2. Methadone clinics operate independently of one another and each one sets their own fees for services. Some clinics are private (accepting only client self pay), while others receive government or public funding. The best way to learn of a clinic’s fees is to contact that clinic directly and ask them to explain/list their treatment pricing for you over the phone. Q3. I want to guest dose in (Anytown USA). How do I go about setting that up? A3. 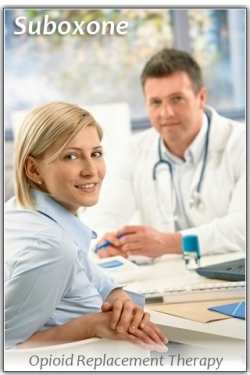 Guest dosing must be coordinated by the staff of your methadone treatment “home clinic”. Contact your primary counselor (or the dispensing nurse) to request assistance with guest dosing arrangements. Many clinics require 72 hours advance notice to set-up guest dosing. The guest clinic will charge a daily fee for guest dosing with them. You cannot guest dose unless you are an active client in a methadone clinic. Q4. My son, daughter, family member has tried to detox several times, but never been successful. Will methadone really take away the withdrawal symptoms? Can they function if they take methadone? A4. 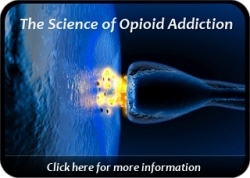 Yes, methadone is highly effective in eliminating opioid withdrawal. And yes, he or she can live an entirely normal life and be fully functional. Many other additional questions have been emailed to Methadone.US, but these are the ones that are most often repeated. Also, the Methadone Assessment has been popular with a substantial percentage of assessment takers indicating that they have been dealing with a moderately problematic opioid addiction. Thanks for visiting Methadone.US. And best of luck with your recovery efforts!